My twin boys have life-threatening food allergies to Peanuts & Tree Nuts. There are so many ways their allergies affect our daily lives. Not only do we struggle at bday parties, vacations, etc...they have also don't get to trick or treat. Until now thanks to The Teal Pumpkin Project! In 2014, the Teal Pumpkin Project began and when I read the details, I cried tears of joy. It may be a simple thing and yes, it is just Halloween, but as a mom of food allergy kids this was such a blessing. Our family tradition has always been to host an open house party with plenty of safe candy and treats for them. We always made a big deal about costumes and passing out candy. When they were really young, this was sufficient. As they got older and realized that they weren't able to go door to door like the other kids, it became a little gloomier. They longed to be able to just go door to door for goodies. It always seemed wasteful to me and hard on them to just go and giveaway the candy. And you may think, sort through it...it's not that simple. Have you ever had a reese's wrapper that was oily? All the time...that would have contaminated the whole lot. It just was never worth the risk of candy vs. my son's life. When it first started in 2014, unfortunately, there was only our house and another neighbor that participated that year. 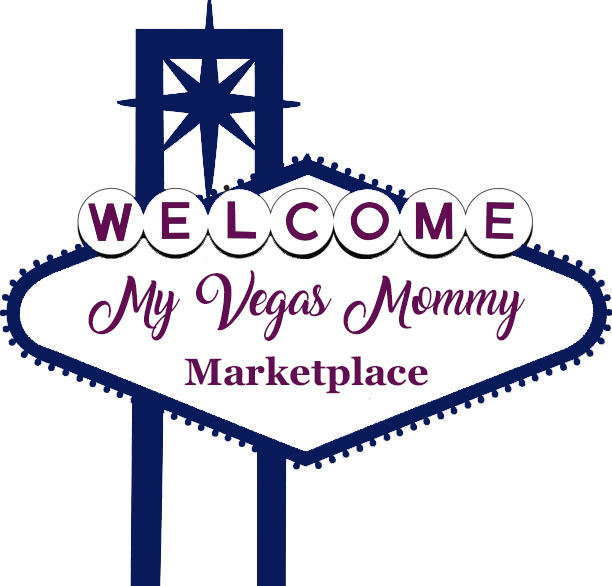 The concept is great and there is just the burden of getting the word out. Last year, we had about 6 houses in our neighborhood participate due to us posting on our neighborhood community page. It was the first time my boys were able to trick or treat at a few doors. We even had the sweetest fellow allergy family from about 5 streets down drive up to our house to allow the boys to pick from her non-food bucket. It was so sweet and much appreciated! As a parent, it is difficult to watch your children feel left out of anything, especially one that is beyond their control. This may seem like a small gesture, but it means the world to kids like mine!!! Did you know that 1 in 13 kids suffer from a food allergy? That's a lot of kids who might feel left out of the festivities. And many more are avoiding gluten as well due to an intolerance. 1) Simply purchase non-food treats (ideas below) Chances are you may get a couple of kids or none at all requesting the non-food treats, so it is really easy to participate as you will need just a few items, likely a dozen or two is more than enough. 3) Display the free printable sign to let kids know you have non-food treats - print it here! Here is our painted teal pumpkin. We were able to purchase a few now that Michaels is carrying them too. Plus, my sweet hubby made our sign into a large banner. We still do pass out candy (ours is always safe for our kids and free of the 8 food allergens), but we have a special small cauldron for our non-food treats as well. What’s the Teal Pumpkin Project? 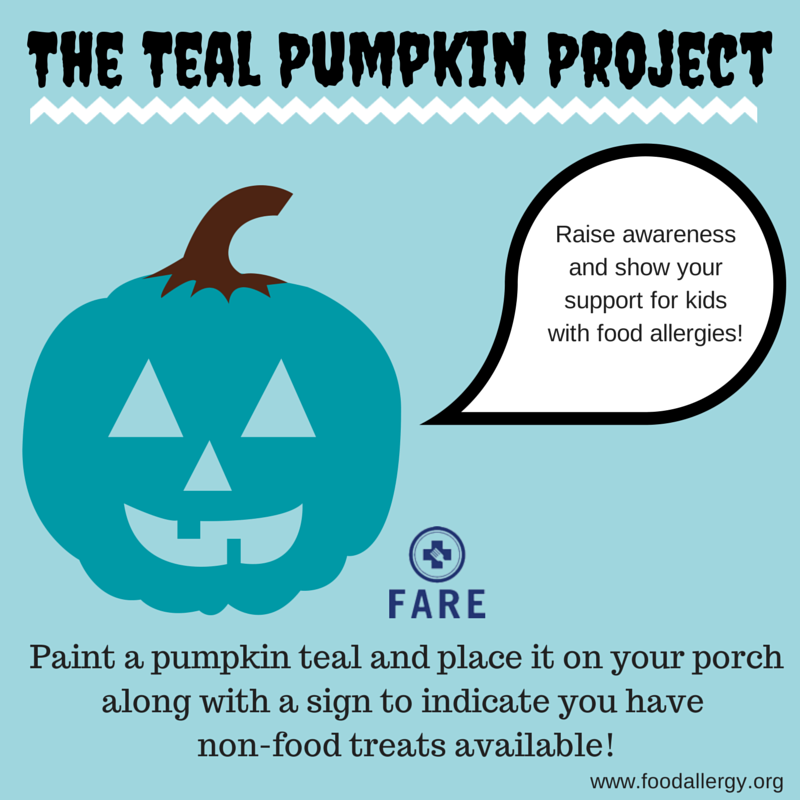 The Teal Pumpkin Project encourages people to start a new tradition and raise awareness of food allergies during the Halloween season by providing non-food treats for trick-or-treaters, and painting a pumpkin teal – the color of food allergy awareness – to place in front of their house along with a free-printable sign from FARE to indicate they have non-food treats available. The idea for the Teal Pumpkin Project originated with the Food Allergy Community of East Tennessee (FACET), and FARE is pleased to be bringing it to the attention of families across the country. 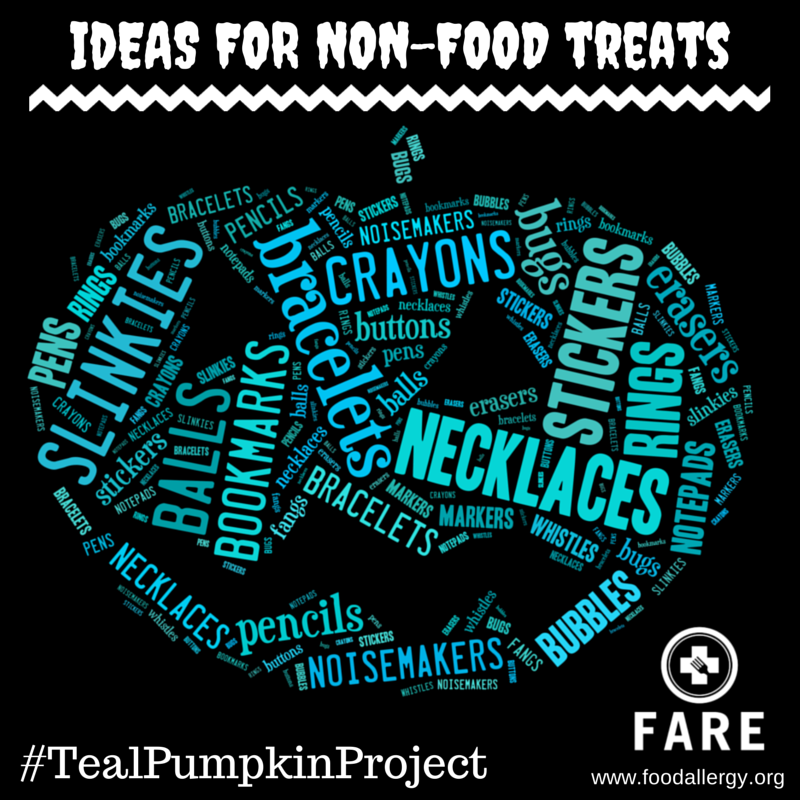 Participating is simple – paint a pumpkin teal, pick up some inexpensive toys and download FARE’s sign to show that you have non-food treats to hand out. It’s a simple gesture that can have a big impact. You can also download FARE’s promotional flyer to circulate in your local community so that your neighbors can participate too! Sure – just do it safely! The point of the Teal Pumpkin Project is to make trick-or-treating as inclusive as possible. You can keep the experience safe by keeping your food treats and non-food treats in separate bowls, and by asking trick-or-treaters if they have any food allergies or giving them a choice of which treat they’d like: candy, or a non-food item. Print out some of FARE’s flyers and put them in your neighbors’ mailboxes. If you have a neighborhood email lists: you can send out an email about the initiative, including a link to FARE’s website. You can also reach out to your local library, dentist/doctor offices, schools, or community buildings to see if they would be willing to help you post signs or get the word out. Share information on social media, and post a picture of your teal pumpkins when you have them near your door! Don’t forget to use the hashtag #TealPumpkinProject when you post! Available at dollar stores, party supply stores, or online shops (Amazon), these low-cost items can be purchased and handed out to all trick-or-treaters, or made available in a separate bowl from candy if you choose to hand out both options. Nearly all of these items can be found in a Halloween theme or festive colors.